too stressed to be in the middle! The sound at the end of the track are coins being poured on a table. 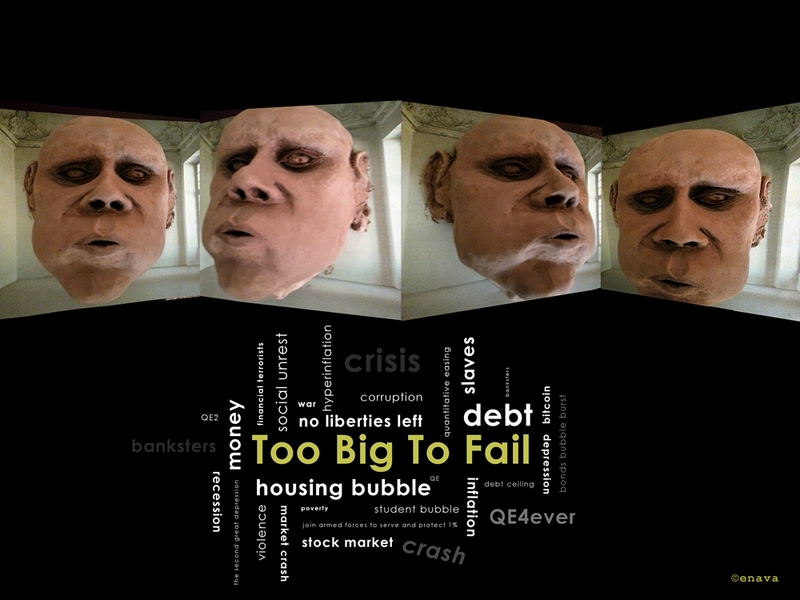 I was trying to simulate a crash, a monetary system crash. The face sculpture was made by a friend. He did a really good job, and for me, it looks like a very stressed face. This face was the inspiration for this music improvisation. This entry was posted in improvisaciones and tagged Ambient Electronic Music, android music, clay sculpture, computer music editing software, crash, crisis, face sculpture, home recording, inflation, iosmusic, middle class, mobilemusic, money, music improvisation, recession, stock market, too big to fail. Bookmark the permalink.